Family time seems to be harder and harder to come by these days... But we managed to find a few minutes this weekend to check out a local farm. But we managed a few smiles nonetheless. Just a heads up, I have an awesome FREE holiday template available from The Hummingbird Press. And if you're a lover of fonts, I'm divulging 25 of my favs! Make sure to swing by and snag a few! I used to get lost in my uncle's corn field when I was a kid. After I tripped over the electric fence coming out once, I quit doing that - real fast! But, I think I could find my way through that "maze" without problems. I like the sunflower - pumpkin combo field. It's super pretty! I agree Alicia, quality family time is getting harder and harder to come by. You guys seem like you had a fabulous time at the farm; and were able to capture some great memories too! That looks like some great family fun! Wonderful family pictures! Looks like a lot of fun! Thanks for hosting. Looks like so much fun! I adore the last picture! That looks like so much fun! I love the shots you captured. The sunflowers are beautiful even if it isn't a true pumpkin patch. It may not have been the kind of pumpkin patch you're used to, but you got some fun shots out of the trip! :) And? You are so stinkin' cute. Great photos, like always. Thanks for linking up. These are great, looks like everyone had fun regardless of the fake cornmaze. Glad you got to have some family time this weekend, we managed it too for the first time in a long time! oh I love these photos! 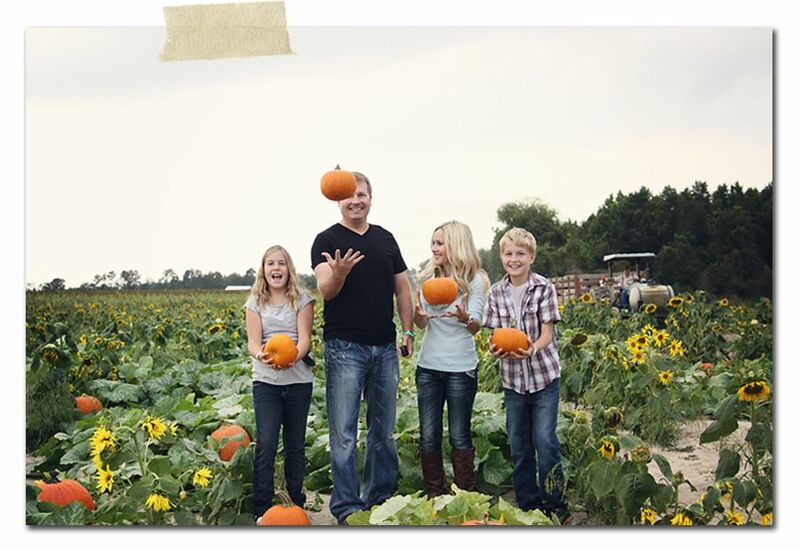 The family picture with your smiles and pumpkins in the air is my favorite of ALL. I love pumpkin patches, one of my favorite things about Fall! last photo is great with the pumpkin caught in the air. Oh Alicia! These are so bright and fun! I LOVE them! Looks like a great place to go! Those tricycles are great! And I love the last picture of all of you. Great idea! SOOOOO how our Fall is here in Florida... we tried to go to a Fall festival and it was so hot it was almost miserable. And kind of sad. We will try again soon!! haha. Enjoy any family time you can. It never gets easier as the kids get older. It does look like a fun family time, but I was wondering how it could compare to an Iowa fall! Beautiful pumpkin farm! I'm kind of sad that my kids don't seem to care much about going to the pumpkin patch anymore. A sunflower pumpkin patch??? I'm a little disappointed for you, but I'm glad you made the best of it and the pictures are still beautiful. Oh, I love the last picture of you and your family! LoL great shots the pumpkins and the sunflowers what a great pair. I love the tire photo!! Of course, the levitating pumpkins one is pretty awesome as well! The maze in Clinton? We did that three years ago when the maze was an astronaut. I imagine it is pretty puny compared to the fields and farms of Iowa. ;) Love the photos as usual. Looks like a good time! And your photos are beautiful as always! We've been trying to squeeze in some family time also while the trees are gorgeous and before the cold weather sets in. And I LOVE that he's carrying around your tripod and working the remote? I wondered how you got the great shots. What a great time it looks to have been had by all.... Thanks for sharing the special times of the family! Mines up as well at AussiePomm - Such a Drag...!!!! Thanks so much, Kim! Good luck on your quest for family time! I thought it was Lexington, but it is called Clinton Cease Farm, so that must be the one. This year the maze was in the shape of Obama and Romney, ha! And although the corn was seriously lame, there was plenty of walking! What can I say? We live in the south now. Ha! And the sunflower field is definitely something you'd never see in the midwest this time of year, so I guess I just need to embrace the differences! Yes, I'm afraid my days are numbered as well. Little Man is too cool for Halloween costumes this year. :( Boo. They just grow up too dang fast! SC is definitely not like a midwest autumn. It was a bit warm at the farm for my taste, but today the weather cooled down and we had some soup. Yah! That Corn Snake is really cool! Hoping the weather warms up so i can take the boys picking this weekend! Aww, sorry Michelle! I was feeling a bit homesick for Iowa when I saw that the corn was fake and the patch wasn't exactly a pumpkin patch either... Hope you can enjoy it vicariously! So happy you found some family time too, Rebecca! Yes, the green, fake corn was odd, but it really was a cute farm and the kids had fun. Thanks Tammi! Just a whole lot of clicking... Not perfect, but I love it all the same. Oh my! That sounds like a traumatic experience! Thanks Tina! Happy WW to you! Thanks Judy! It was a nice pause from regular routines. Yes, the sunflowers were certainly a surprise- but what a beautiful backdrop! That it was. May not have been like I was used to, but it was beautiful and the kids had fun! Thanks, Stephanie! One of my favs as well! Yes, it was a huge surprise to find the sunflower field. ;) But it really did make for a beautiful backdrop! Thanks so much for stopping by, Karli! Hope all is going well in your home building world! ha ha. but you went to the farm in short sleeves. That's a plus right? Great photos. Thanks Sofia! 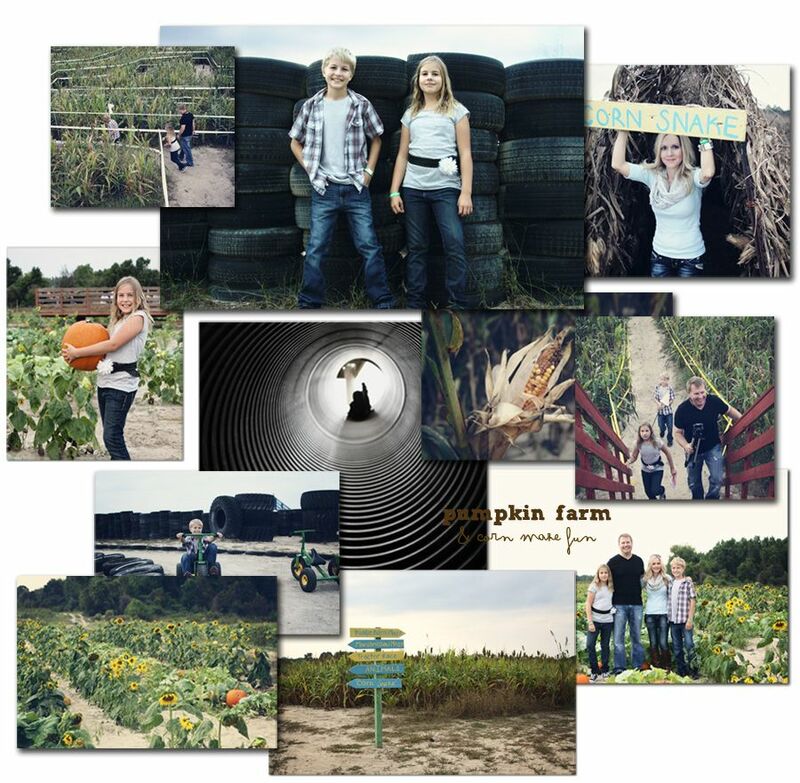 There were plenty of fun photo ops on the farm! It was actually high 80s and I was entirely overdressed. Ha! Today it dipped down and it felt like autumn, but tomorrow I have a field trip with my daughter to the zoo and it's back up to 80. ;) Gotta love the south! Sometimes you have the find the fun, which you obviously did. Great pictures. Great pics. The sunflowers make for pretty photos too. Very nice photos. It looks like you and your family had a great time! oh my!! i never gave too much thought to fall in the south! pumpkins scattered in a sunflower field is certainly different but absolutely beautiful! looks like your family had a great "autumn" day. beautiful photos, as always! still jealous of your 80-degree temps though! what happened to your kids?! where did they go?! i see young adults!!!! they are all grown up now... well, at least it looks that way!!!! !where does the time go?! Love these Lish. I can see how it would be a far cry from what you are used to. But coming from the desert- I would love to have a place like that to go. Some place that was somewhat fall festive. I fear I will be purchasing my pumpkins at the market. The fake sunflower punpkin patch is hilarious. But sigh, that's all we have here in So Cal. I have never been to a Pumpkin Patch, but would love to go someday. Your family really makes it look like a blast! We went to the pumpkin patch this week too! How funny that they used fake corn. I love that last shot--so cute! I love how you all of it together!! It's so happy! fake pumpkin patch and corn maze just doesn't sound right! But you guys still seemed to have had fun! Wonderful shots, Alicia! The last is my favourite!! It looks like a lot of fun - we don't have this tradition in Australia. I miss those days with my kids...great shots! Hi Alicia! I came across your blog hop months ago and finally found it again today. Isn't it odd how you think you'll go right back to a blog you saw but it doesn't work that way. So I'm here, I joined your site and I joined the blog hop and I will continue! Your hop is amazing!!! !